One of the first steps initiated will be to closely analyze your supply chain and determine what, if any, impact this will have on your firm. 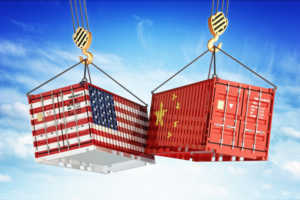 Supply chain managers will first be referring to the Harmonized Tariff Schedule 2018, which specifically lists 6,000 items – from ceramics to soaps – that are automatically subject to the 25 percent penalty tariffs on U.S. imports when their Country of Origin (COO) is China. The system is designed to disallow trans-shipment from another country to alter the COO and avoid penalties. Not only is it unlikely to work, it’s illegal. Federal law requires shipment companies list the COO as the country where products are made or substantially transformed. Trans-shipment has no bearing. Depending on your industry, it may be smart to stockpile your inventory. That’s what a lot of firms have been doing, though the downside is it’s led to a shortage of various parts globally. It’s also probably unwise for an industry like technology which evolves rapidly, quickly rendering goods obsolete. If this is the route you choose, our Cleveland 3PL supply chain management team at On Time Delivery & Warehouse will help you make certain your not tying up working capital that could impede your other operations. Some firms are opting to relocate manufacturing to a country not impacted by tariffs. Two issues there: No. 1, although these tariffs don’t apply to these other locations at the moment, there is no guarantee they won’t be roped in at some point down the line. Furthermore, productivity rates in some of the alternative countries are reportedly substantially less, so some firms may find it less costly to simply maintain their Chinese production plants and pay the penalties. It may be possible – smart, even – to return your manufacturing to the U.S., but bear in mind the process could take well over a year. Consumers, unfortunately, will have to bear some of the cost, as most businesses simply can’t afford to operate with 25 percent shaved off the top, so they tack all or most of it onto the final sales cost. If your Cleveland 3PL supply chain management firm can help you determine other ways to help lower your overall costs and sell at a lower price than the competition (by addressing inefficiencies in your existing supply chain), you’ll have stronger sustainability edge. If you have questions about Cleveland 3PL supply chain management, contact On Time Delivery & Warehouse by calling (440) 826-4630 or sending us an email.